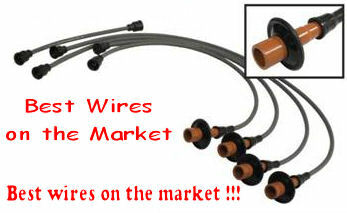 Ignition Spark Plug Wires - Best on the market !!! Home > Engine Electric > Ignition Spark Plug Wires - Best on the market !!! These new Premium Spark Plug Wires are the best stock ones around. Nothing closer or better than these to the original Bosch ones. Fit all Type 1 upright Air-Cooled engines.